Below you fill find all funeral homes and cemeteries in or near Old Town. Suburbs of Old Town: Alton, Argyle Twp, Indian Island. 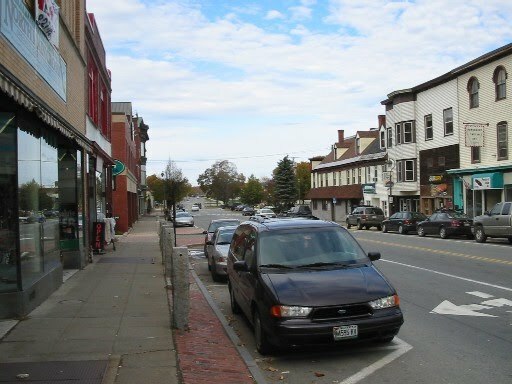 Old Town is also known as: Penobscot County / Old Town city. Zip codes in the city: 04468. Some of the notable people born here have been: Aron Gaudet (film director and film producer), and Patty Griffin (singer and singer-songwriter). Old Town is a city in Penobscot County, Maine, United States. The population was 7,840 at the 2010 census. The city's developed area is chiefly located on relatively large Marsh Island, though its boundaries extend beyond that. The island is surrounded and defined by the Penobscot River to the east, and the Stillwater River to the west. It was written on March 26th, 2019 that Arthur W Stevens passed away in New Port Richey, Florida. Stevens was 94 years old and was born in Old Town, ME. Send flowers to express your sorrow and honor Arthur W's life. It was noted by New Haven Register on May 4th, 2018 that Robert Arthur Foster died in Milford, Connecticut. Foster was 87 years old and was born in Old Town, ME. Send flowers to express your sorrow and honor Robert Arthur's life. It was revealed by Chicago Tribune on April 13th, 2018 that Frank J "Frenchy" Bourque perished in Wheaton, Illinois. Bourque was 92 years old and was born in Old Town, ME. Send flowers to express your sorrow and honor Frank J "Frenchy"'s life. It was noted by The Mail Tribune on December 31st, 2017 that William "Bill" Harris died in Phoenix, Oregon. Harris was 86 years old and was born in Old Town, ME. Send flowers to share your condolences and honor William "Bill"'s life. It was noted by The Advocate on November 18th, 2017 that Jean Hoffner (Durand) perished in Newark, Ohio. Ms. Hoffner was 80 years old and was born in Old Town, ME. Send flowers to express your sorrow and honor Jean's life. It was written by The Villages Daily Sun on October 1st, 2017 that Leslie Allen Black died in The Villages, Florida. Black was 76 years old and was born in Old Town, ME. Send flowers to express your sorrow and honor Leslie Allen's life. It was written on June 20th, 2016 that Raymond E Mann died in Murfreesboro, Tennessee. Mann was 94 years old and was born in Old Town, ME. Send flowers to share your condolences and honor Raymond E's life. It was reported by Kearney Hub on April 4th, 2016 that Alice Lorriane Engler (Carr) perished in Beaver City, Nebraska. Ms. Engler was 78 years old and was born in Old Town, ME. Send flowers to express your sorrow and honor Alice Lorriane's life. It was written on November 24th, 2015 that Charles L Jr Hehn perished in Georgia. Send flowers to share your condolences and honor Charles L Jr's life. It was disclosed by Telegraph Journal 1900>11/2001 on February 17th, 2015 that Rose M "Rosie" Gallant perished in Saint John. Gallant was 69 years old and was born in Old Town, ME. Send flowers to express your sorrow and honor Rose M "Rosie"'s life. The city of Old Town includes Treat-Webster Island, a.k.a French Island, a predominantly residential neighborhood located on a small island in the middle of the Penobscot River. Its location along a series of drops in the Penobscot River near the head of tide just downstream in Bangor, Maine made it an ideal location in the 1800s for sawing lumber from the millions of Board foot feet of spruce and pine log driving floated annually down the Penobscot. Old Town is also home to a former Georgia-Pacific paper mill that is being redeveloped. In 1840, when the present city was set off from neighboring Orono, Maine (named for a Penobscot sachem), it was given the name Old Town because it contained the Penobscot village. Old Town may be best known for Old Town Canoe, a major manufacturer of canoes and kayaks, which has been based in Old Town for over 100 years. The official website for the city of Old Town is http://www.old-town.org/. The unsuspecting visitor might never guess how many scary stories lurk in the second-floor windows or local cemetery of the historic town. After all, a place with as much history as Breckenridge is bound to have a few skeletons it its 150-year-old closet. Hailed by Depression-era newspapers as a symbol of American values and by avant-garde intellectuals as a satire of small-town provincialism ... to me while I was milking a cow, even though he hadnt lived on a farm since he was 10 years old. funerals in Old Town, ME on Yahoo! Local Get Ratings & Reviews on funerals with Photos, Maps, Driving Directions and more. Birmingham Funeral Home, Old Town, ME : Reviews and maps - Yahoo! Local, 207.827.6369. Get Ratings, Reviews, Photos and more on Yahoo! Local. We work with local florists and flower shops to offer same day delivery. You will find budget sympathy flowers in Old Town here. Our funeral flowers are cheap in price but not in value.